So, cannibalism is another of those topics in horror that can be tricky to get right. Sure, it’s scary to see unsuspecting people be eaten by a tribe of flesh-eaters that AREN’T undead, just because it’s so against the cultural norm of our civilized societies. But then what? There isn’t much psychological weight to it, just a big gore factor. How do we feed (no pun intended) the cannibalism genre to mainstream audiences in a way that isn’t just gross, but makes them think a bit too? While most movies that tackle cannibalism head-on are B-movie exploitation films, few take it on and do something unique with it. 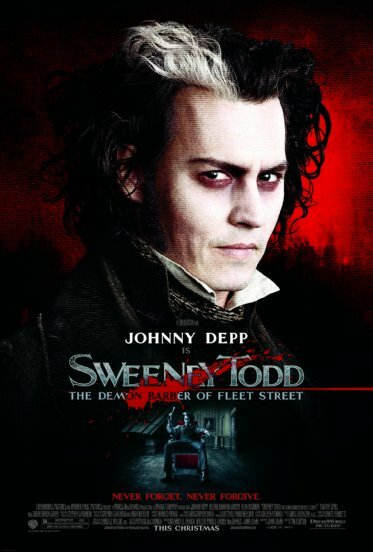 So I turn to a mainstream movie that isn’t a cannibal movie per se, but one that incorporates the horror of it into its plot with brevity and irony: Sweeney Todd, the Demon Barber of Fleet Street (2007). Director Tim Burton and his muse Johnny Depp are no strangers to dark territory, but this underrated (overrated?) genre-masher was born to be a cult classic. Maybe too forcefully… maybe C-sectioned to be a cult classic. Anyway, it’s revenge thriller at heart, disguised cynically as a musical black-comedy. Depp plays himself—well, his Tim Burton self—as the titular character back in 19th century London to kill the judge (Alan Rickman) that ruined his life years before by taking his daughter and separating him from his wife. He opens up barber shop above Mrs. Lovett’s (Helena Bonham Carter, who else?) meat pie shop. 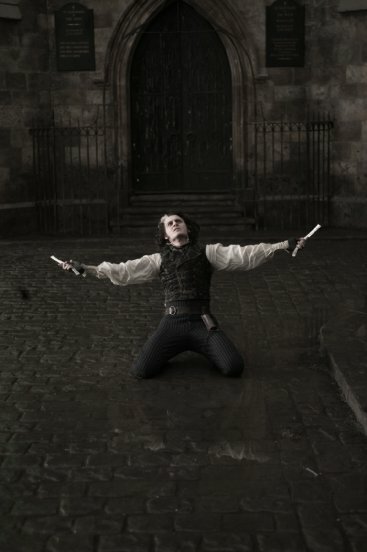 Before long and with some clever engineering and depletion of sanity/morals, business booms as Sweeney Todd slits the throats of his clients and sends the corpses downstairs to be chopped, ground, and cooked into pies. All during some hilariously upbeat and self-aware montage songs. The two turn every customer into unknowing cannibals—an extended joke at first that eventually exposes the movie’s truest terror. It’s not the murder or the gore that gets you, it’s the thought that creeps into your head, making you question some sketchy meals you may have had in the past. Just that brilliant irony, and disgust, and humor you feel watching people eat those pies and loving it. Taboo subjects can be relished by audiences under the right circumstances, which is partly why this musical has been such a hit since its inception in 1979. Cannibalism as a justification for serial murder is outrageous enough, but watching these two bitterly likeable characters sing about it in classic musical form ambitiously turns both genres—musical and horror—on their ears. It’s just so much fun, you can’t help but go back to it over and over again.